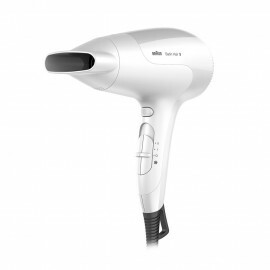 "Braun Satin Hair 1 HD180 Hair Dryer is an ultralight dryer for convenient and easy use. With 1800 watt it delivers fast and effortless results and makes styling easy. The compact and ergonomic design makes handling effortless and light. 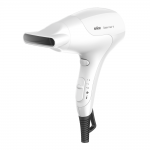 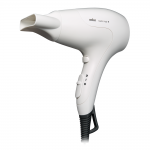 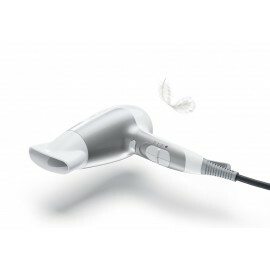 With its elegant and pure white design the Braun Satin Hair 1 HD180 Hair Dryer dryer adds style to effortless results.